​Maeva was born at our home and she is the first daughter of Aoide from the 2015 "Shameless" litter. Her father Mosika was imported from the Democratic Republic of the Congo by Bryan and Laurie Gregory (Jumoke Basenjis) in 2010 and he lives with them in the USA. 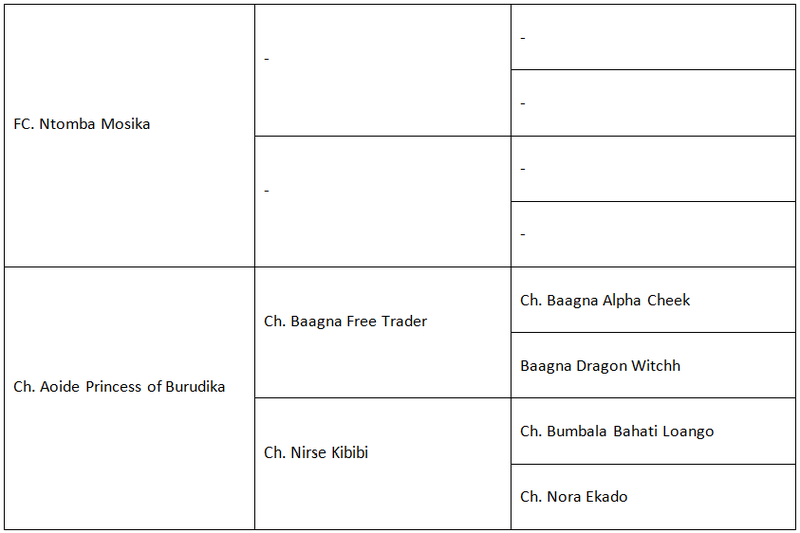 He is part of the 'BCOA African Stock Project'. 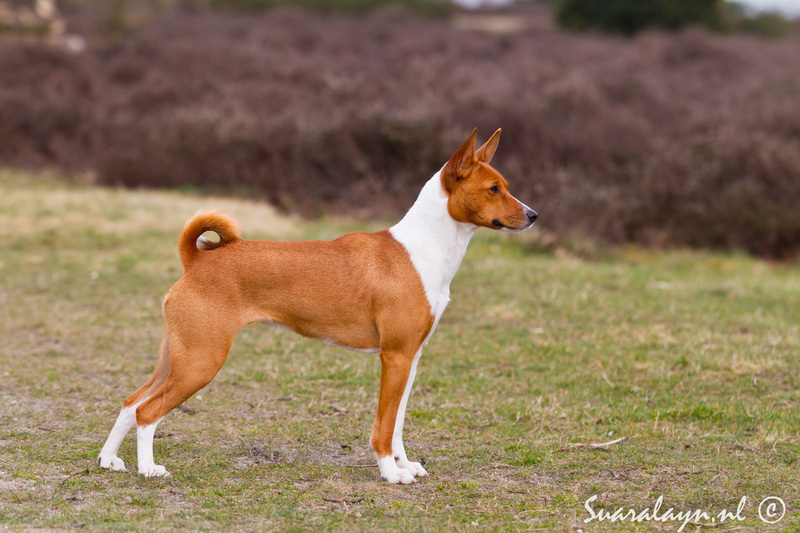 His entry into the studbook was approved by the members of the Basenji Club of America and Mosika was subsequently registered in the Basenji studbook of the American Kennel Club. Maeva is crazy, inventive and always happy. Her pedigree name "Chaos Junkie" fits her like a glove. The name refers to Fiona Gallagher, the oldest daughter of Frank and Monica Gallagher from the TV series "Shameless". She gets called 'chaos junkie' by her boyfriend in season 5 (2015), because she tends to make wrong decisions that turn her life into chaos. Maeva's call name has two meanings. In Tahitian it means 'welcome', which we found very fitting for our first home bred Basenji girl. Through the link with the Irish/Gaelic 'Medb'/Maeve' it also means 'intoxicating', which fits her kennel name. Maeva is very talkative and yodels loudly every time she greets us. She is kind to both humans and dogs, but is a true hunter when it comes to other critters. Although she was a bit shy as a puppy, she has grown up to be a confident lady. Maeva loves to go to mantrailing and agility training and she is as successful at the coursing field as her parents. Maeva is the mother of Suaralayn's "Turin Brakes" litter born December 2017. We are planning her second litter in winter 2020/2021.